basic Tagalog - kumusta? How are you? 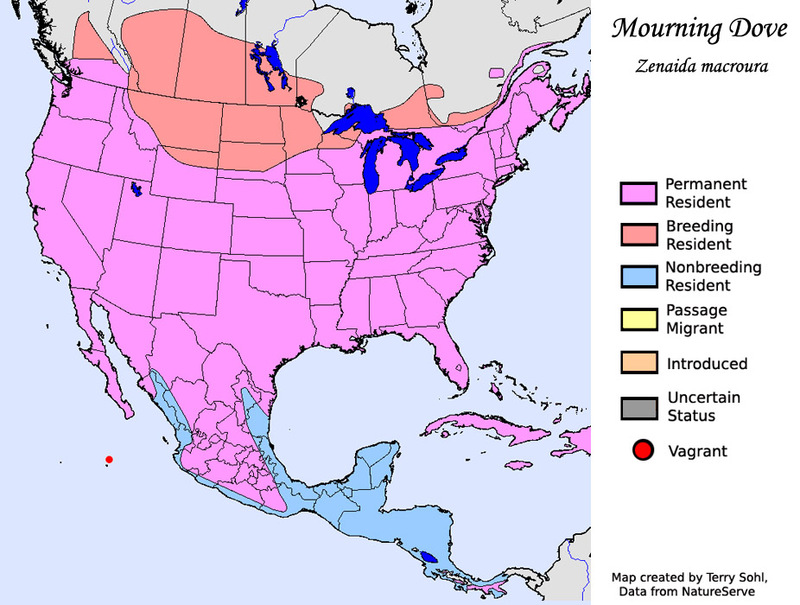 The differences between the Mourning dove and the White winged dove. The dove pictured above is a mourning dove and the dove pictured below are white winged dove. 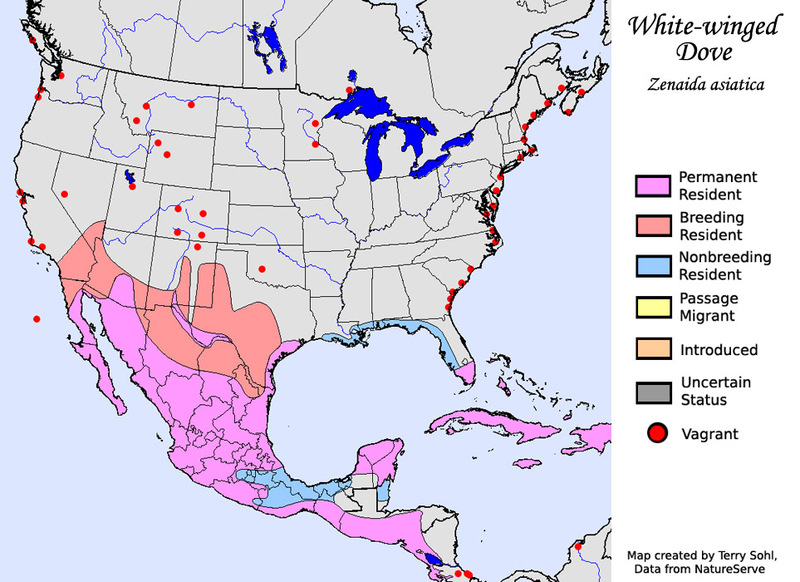 The white winged doves habitat is normally south Texas and Mexico during the winter, and all of Texas and parts of Louisiana during the summer. 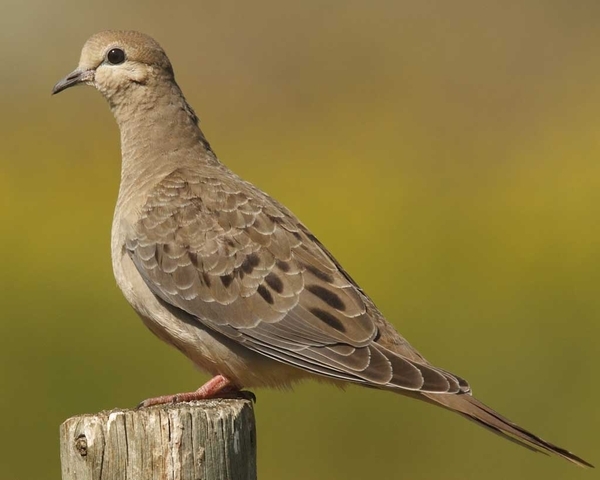 The habitat of the morning dove is the southern half of the United States and Mexico during the winter and almost all of the United states during the summer. 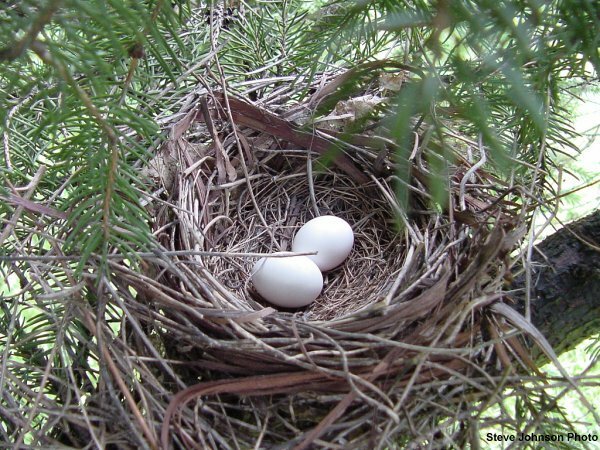 Both types of doves normally build their nests in bushes and lay 2 eggs. Each type of dove normally lays two eggs in a bush or low lying tree. 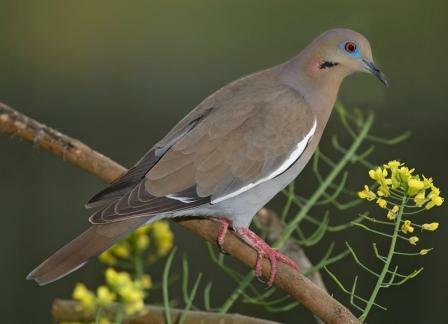 This entry was posted in bird watching, blogging, blogs, dove habitat, mourning dove, nature, Texas, thoughts, white winged dove, wildlife, writing and tagged birds, dove, doves, eggs, Mourning dove, nature, white winged dove, wildlife. Bookmark the permalink. I am currently living in Harlingen Texas in the Rio Grande Valley located in deep south Texas near the Gulf of Mexico. 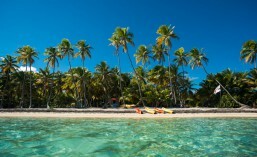 I stayed in the Philippines for seven months, from May to December 2012. I learned a lot about the people, culture, food and language in the Philippines and I hope to return there and retire someday! The past couple of years I have been in Long Beach California, staying and working at the Long Beach Rescue Mission, where I worked in the Laundry Department, helped hand out clothes and shoes, and I drove our Passenger Van to transport residents. I am back in south Texas now, in the city of Harlingen which is about 12 miles from the Rio Grande River.